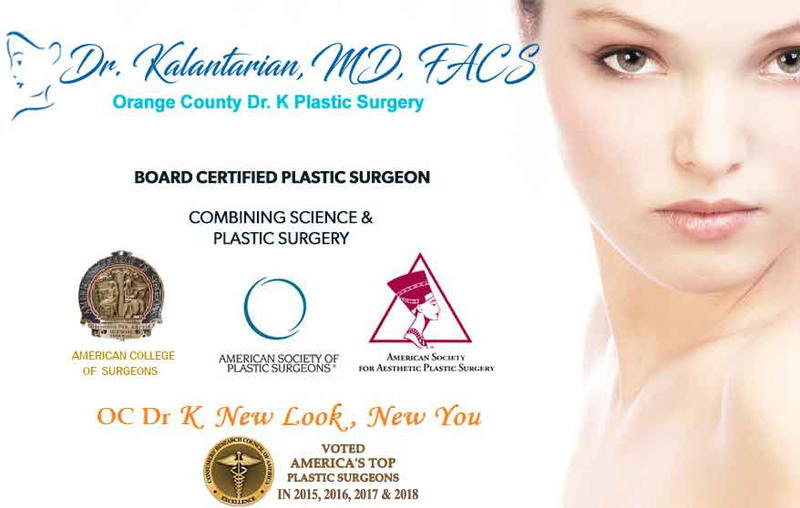 Dr. Kalantarian Plastic Surgery (Dr K Plastic Surgery OC) Office is Orange County’s leading cosmetic surgery location. Our expert staff offers patients a complete cosmetic enhancement experience, not just surgical procedures and treatments. Our mission is to deliver the most beautiful and natural looking results possible with care and kindness. We are committed to providing our patients with a genuine individualized approach and a high level of quality in California. At our O.C. Plastic Surgery office, our goal is to deliver beautiful and natural-looking results while keeping patient safety our top priority. We know there are many available options to those considering surgical and non-surgical cosmetic procedures, which is why we work hard to set our practice apart from all others by focusing on patients’ desire and safety. “Dr. K” (Dr. Kalantarian) Plastic Surgery in O.C. Our Orange County Plastic Surgery office is led by Dr. Behrooz Kalantarian, M.D. Our patients take great comfort in the fact that “Dr. K” brings over 10 years of plastic surgery experience to the practice. “Dr. K” is board certified by the American Board of Plastic Surgery and is trained to perform plastic and reconstructive surgery. His interest is aesthetic or cosmetic plastic surgery of the body and face. Need an expert advice on these? Consult Dr. Kalantarian (Dr K Plastic Surgery O.C. (A M. C.) for professional help and discover the new you.